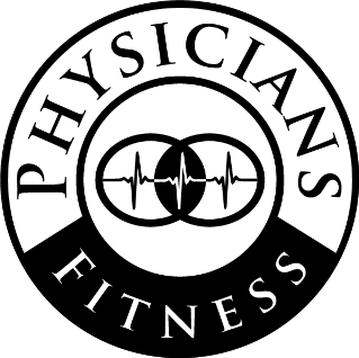 Physicians Fitness believes in taking a head-on, pragmatic, and transparent approach to just about everything we do as an organization – from developing custom exercises that ease your long-term discomfort, to answering any question you may have along the way. Can’t find your question listed below? Not a problem – simply contact us today with your inquiry and we will provide a prompt and thorough reply! What is a Certified Muscle System Specialist™? Is working with an MSS™ similar to Physical Therapy? While the work of a Certified Muscle System Specialist™ and the work of a physical therapist may look similar, the philosophy and thought process differ greatly. Physical therapy generally focuses on a patient’s complaint of pain or tightness, and as a result the therapy is almost always performed on or around the area of the patient’s pain. The physical therapy approach often subscribes to the philosophy of “local problem, local solution” (see this article to gain insight into the potential problems of this perspective). A Certified Muscle System Specialist™ sees the body as one interconnected, integrated, and interacting system. This philosophy provides the underpinnings for our approach. Instead of focusing directly on the part where you feel pain, our work focus is on your control. Any area of the body with low-quality muscular control can contribute to a problem with movement, pain, tightness, or discomfort you are experiencing in any other area of their body (see this article for more information about our “Systems Approach”). As we help you improve control throughout your system, we can elicit a significant, positive effect on how your entire body feels and moves. Our clients are often surprised that improving muscle control in an area can improve pain they were experiencing at a different location of their body! We take a full-body approach to solving control issues throughout your system! Why is the company name “Physicians Fitness”? Our mission Statement demanded it. We are adamant about coordinating your health and fitness programming with your medical providers. We believe that physicians are in the best position in the health care system to recommend, and monitor the effects of fitness activities, for individuals. Research continues to show that when a physician makes a recommendation to a patient about health care strategies the patient typically listens. At Physicians Fitness, we love to work with individuals who are already involved in fitness activities, but our passion is helping someone with an existing medical condition who is intimidated by, or has previously failed in an attempt to start, a personal activity program for their health and well being. We want, and need, to work with physicians to ensure safety and appropriateness of physical activity planning and implementation. What makes Physicians Fitness unique? Several features of Physicians Fitness contribute to our unique ability to serve clients from diverse backgrounds. Number one is our passion – we love what we do and can not even fathom doing anything else! That passion bleeds into the entire fabric of the organization – from our commitment to continuing education (we sponsor study groups weekly that are open to any professional wanting to learn more about taking care of the human body) to our Mobility Profiling Method. Our staff is the embodiment of our passion – dedicated and educated professionals with experiences ranging from sports conditioning to pain management to outpatient clinical care environments. The critical upfront homework we do for each and every new client to learn about them and ensure their safety is unmatched in Central Ohio. We take the time to find out those things that are keeping you from performing at the levels you desire. What benefits can I expect by working with an MSS™? Decreased physical and mental stress. . . because when your body Moves Better, you Feel Better and Live Better! Improved self-efficacy as you will learn and master exercises and techniques you can employ on your own to help yourself continue to get and stay better! Who can benefit from Physicians Fitness services? Anyone can benefit from Physicians Fitness services unless a medical doctor has contraindicated them from physical activity. From 8 years old to 100 years old. From professional athlete to the first time exerciser, the powerful combination of our knowledge of human mechanics, muscular assessment, exercise programming for individuals with diseases that make exercise risky, and personal fitness training, we can serve a need you have to Move better, Feel better and Live better! Does insurance reimburse Physicians Fitness services? No – we are not approved by most providers for insurance reimbursement. Some company Health Savings Accounts (HSA’s) and wellness plans may allow our services to be reimbursed. This can be evaluated on a case by case basis. Please note that we are not interested in participating in third party reimbursement programs because we believe there are inherent limitations in service that come with those relationships. We work for you and you make the decisions. If you are only interested in pursuing health by having an insurance company pay for it then there are many providers available to do that. What are the credentials of Physicians Fitness Staff? Each practitioner at Physicians Fitness is a Certified Muscle System Specialist™ (MSS). The Physicians Fitness staff have university and/or technical school degrees and valid industry certifications. We’re also proud to have two of only a handful of Certified Medical Exercise Specialists in the Midwest! We invite you to get to know our individual practitioners in our “Who We Are” section. The focus of our education is on assessing human performance and motor control. We then work to improve it through the improvement of muscular tension. If your muscles do not work properly, then you don’t work properly. That really does depend on your personal history and confounding factors. Typically you will begin to see changes immediately but we should have a good idea if our service is working for you within several visits depending on the nature of your situation. It may take longer – the body is extremely complicated and is an excellent compensator! It will take less time to improve your health if your physiology is placed in the right position. Do I need a Physician referral to use Physicians Fitness Services? No, but it is preferred. We like to notify your physicians of your participation – we don’t like surprises and know that they don’t either. If you have a diagnosed disease then we want a physician’s clearance.